Today's devastating news is that a staggering 773 million records have been published containing email address and passwords - and you could well be affected. This leak isn't from one particular company like Talk Talk or Yahoo though, it is a package of previously leaked information constructed to help nefarious hackers break into accounts. It's called "Collection 1" and the details have been posted by Troy Hunt, security expert and the brains behind the website "HaveIBeenPwned". He doesn't share them, so his site doesn't make the problem worse, but he does allow you to check your email address to see where it may have leaked thanks to hacks and general corporate carelessness. For security reasons It won't directly tell you if your passwords have been exposed, but if your email address is in the database you need to assume it has been. Many passwords that appear in leaks are "hashed". Hashing is a way of hiding the password in a way that means you can log into a website, but anyone accessing your details won't be able to see what it is. 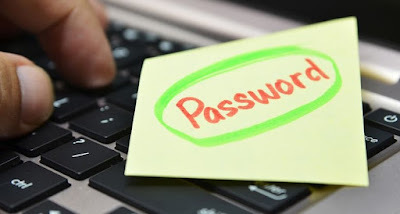 You should already be using a strong and unique password for your online banking and email addresses. If you're not, rethink that and get changing.The best protection from username/password hacks is to enable two-factor authentication. Most email companies support this, as do Twitter , Facebook and Instagram . » Did Obama Just Accidentally Leak Beyonce Is Expecting Twin Girls?